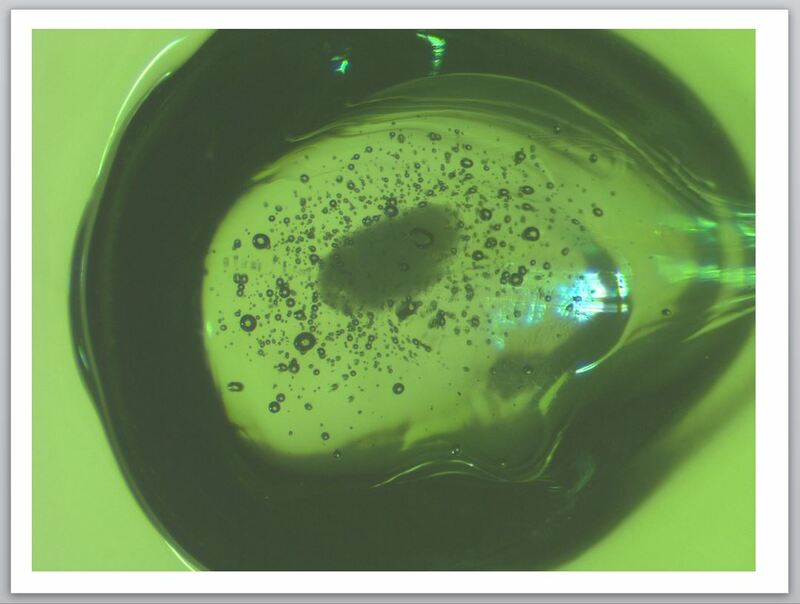 While staring at this month’s unblinking defect might give you the chills, it actually is an alumina silicate stone within a viscous solution sack formed from a dissolving stone. It was found buried in the surface of a glass container and caused by a ceramic contaminant in the cullet stream. While we have casually described this defect a ‘Screaming Dinosaur’, it is actually embedded material composed primarily of iron oxide on the inside surface of a bottle. 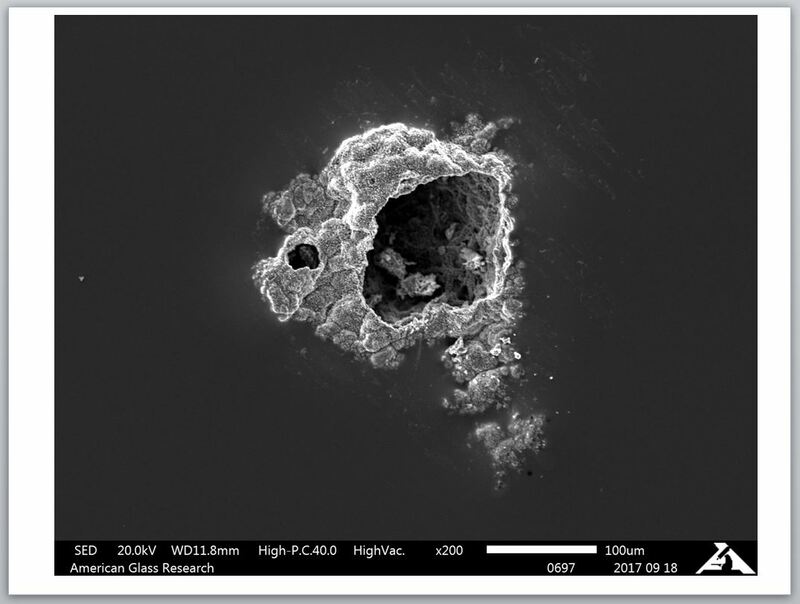 The defect is viewed at 200X in our Scanning Electron Microscope and we were pleasantly surprised by the image. Based on its’ composition, it is most likely a piece of plunger scale or similar material adhered to the inside of a container during the formation of the parison. This piece of weathered glass was viewed in our Scanning Electron Microscope (SEM), magnified 800X and shows the crystalline structures on the inside surface of a glass container. By colorizing the elements we were able to differentiate between the Calcium and Sodium Carbonates. 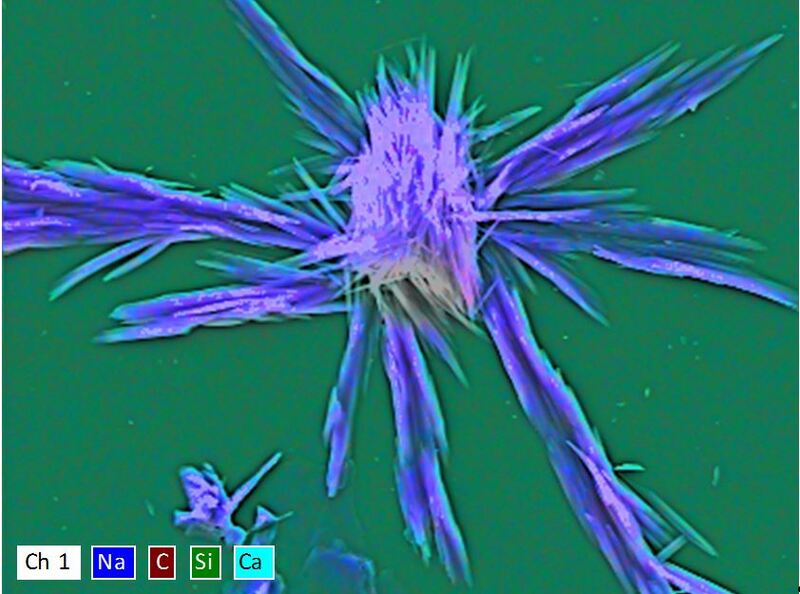 In this view the calcium carbonate (blue) is along the edge of the sodium crystals (purple). This atmospheric weathering is evidence of the reaction of the mobile ions of calcium and sodium in the glass with the atmosphere. 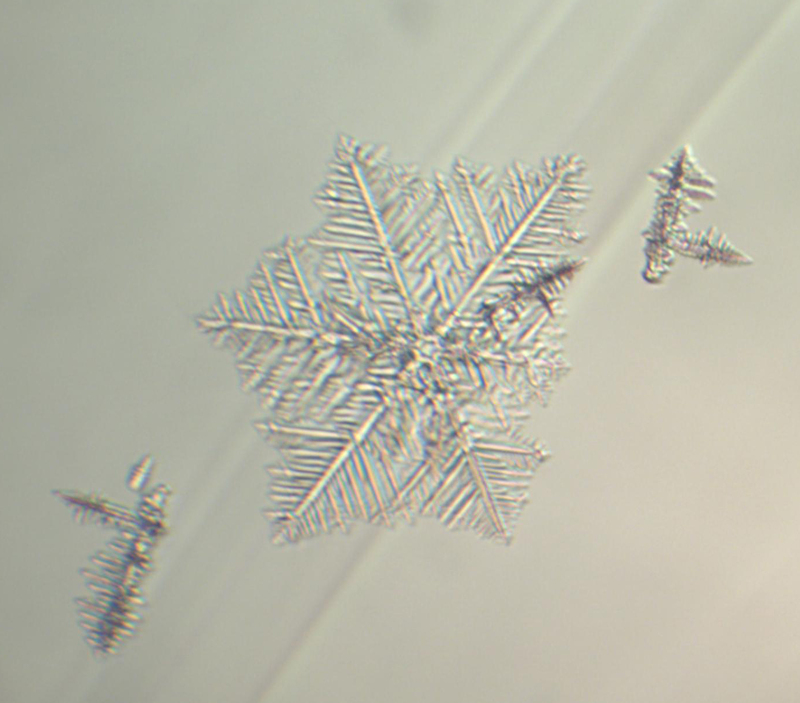 This “snowflake” is actually a crystalline inclusion embedded in solid glass as viewed through a microscope. When a silica rich area of the glass melt cools below the liquidus temperature, crystals of tridymite (SiO2) such as those shown here can form. Tridymite crystals can also form in the vicinity of a silica batch stone. This crystal formation of atmospheric weathering is composed of calcium and sodium carbonates on the inside surface of a glass container. 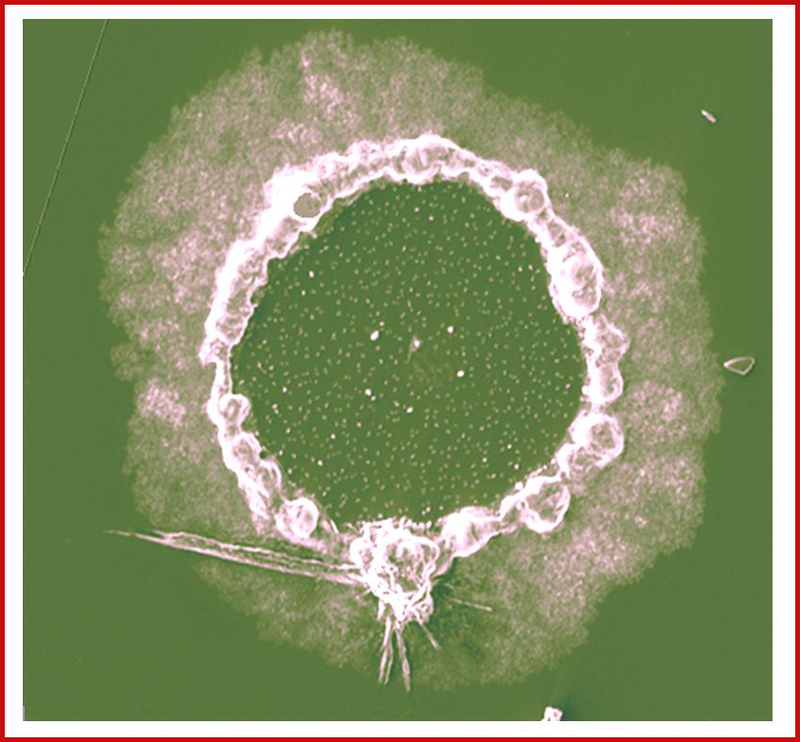 This unusual weathering formation has the appearance, when colorized on our scanning electron microscope, of a holiday wreath.